January 20 is Martin Luther King, Jr. Day, a federal holiday falling on the third Monday of January, near King’s birthday on January 15, 1929. The holiday was established in 1983 after a long struggle, and in 1994 Congress designated the holiday as a national day of service. Congress at that time charged the Corporation for National and Community Service with leadership of this effort; the MLK Day of Service is part of the President’s call to service initiative, United We Serve. The CNCS’s Martin Luther King, Jr. Day of Service website contains toolkits and other resources for locating and carrying out service projects for January 20. This year will mark the Day of Service’s twentieth anniversary; on January 15, King would have been 85 years old. To find resources by King, type “King, Martin Luther, Jr., 1929-1968″ into the search box on the Catalog tab or the Advanced Discover Search box, and select “Author” from the dropdown menu. 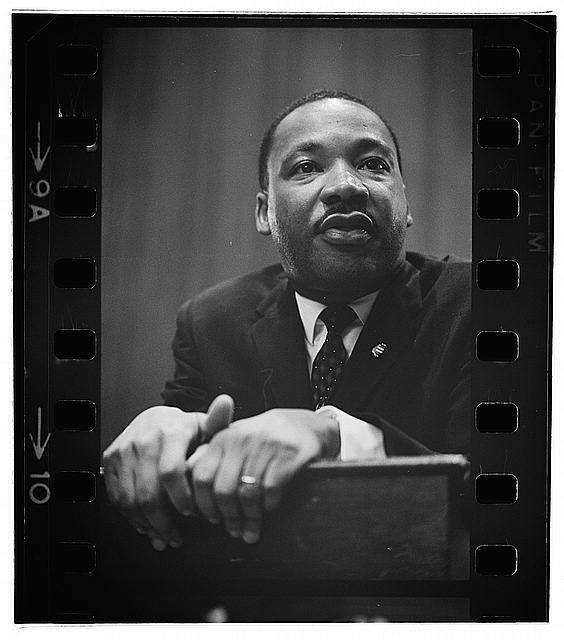 This entry was posted in African American Studies, Books, Databases, For Faculty, For Graduate Students, For Students, General News, History, New Resources, Primary Resources and tagged civil rights, Civil Rights Movement, Martin Luther King Jr., MLK Day of Service. Bookmark the permalink.